For a long time many of the major spirits companies seemed to concede the white rum category to Bacardi. Who in their right mind would want to take on the most successful and pervasive rum brand in the world in the space that they are so firmly entrenched? Similarly, in the spiced rum space, Captain Morgan from Diageo and to some extent Sailor Jerry from William Grant are so dominant, it’s hard to imagine any company that would want to climb the extremely high mountain to try to compete. It’s fascinating then that Ernest & Julio Gallo would enter both these spaces simultaneously with their new Shellback Caribbean Rum, produced at the West Indies Rum Distillery in Barbados. Gallo has been slow to expand their spirits offering, but when they do, they tend to find the sweet spot and manage to do quite well. Gallo has found great success both their New Amsterdam Gin line and Camarena Tequila, so Shellback will definitely be an important brand to watch. Shellback Caribbean Silver Rum (80 proof / 40% ABV, $17) is a rum that’s all about vanilla. Vanilla clearly leads the nose with both vanilla bean and vanilla extract notes. The nose also features toasted marshmallow and a solid cream soda note. Vanilla also strongly leads the entry which is fairly sweet and slightly sugary. Things do balance out in the midpalate a bit with a slight bit of pepper spice, but the vanilla doesn’t let up. The vanilla is joined in the midpalate by a really nice pineapple note. The spice peaks towards the end of the midpalate with a short finish that is slightly spicy with a flavor focus that’s mostly vanilla and sugar. Shellback Silver Rum seems almost custom designed to go in Coke, with a preponderance of vanilla and balance of sweet and spice that harken directly to Vanilla Coke. Rum and Coke is Bacardi’s core business, and Shellback is a clear fire across their bow from Gallo. Shellback Silver Rum isn’t life changing, but in many ways it really doesn’t have to be. 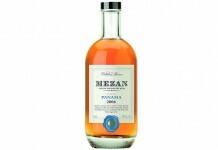 Priced competitively, it’s an affable white rum that’s slightly sweeter, much more vanilla centric, with slightly fewer edges than Bacardi Superior. Shellback is also a lot less neutral than Bacardi Superior, which to some may mean “less clean” and to others it may mean “more flavor.” While the strong level of vanilla makes a good rum and Coke or Cuba Libre, it’s a little strong for the finesse of a classic daiquiri (in which Brugal Extra Dry or Bacardi Superior both performed better). But Shellback is probably less likely to be cocktail bound and more likely to be thrown into Coke, sipped neat, or even over the rocks. Should Bacardi be concerned? Probably. 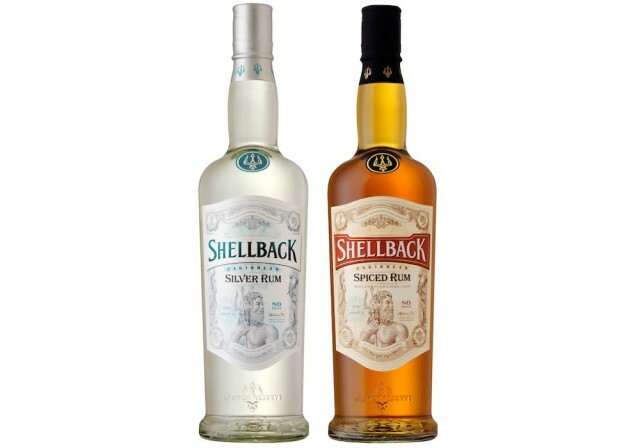 Shellback Silver Rum is the kind of rum that could draw people to the category in very much the same way that New Amsterdam has done with gin. With the might of Gallo behind it, we could be in for quite a war in the white rum space. Shellback Caribbean Spiced Rum (80 proof / 40% ABV, $17) has no sugar added and features a combination of “all natural” spices including cinnamon, ginger oil, clove oil, nutmeg, cassia, vanilla, and allspice. 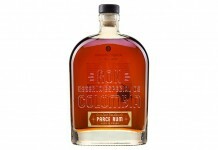 The base rum has also been aged in ex-bourbon barrels for a year. As with the Silver Rum, vanilla is the featured attraction in the Shellback Spiced Rum. The nose smells strongly of vanilla extract, which pretty much overwhelms everything else. There’s a sense of spice underneath – perhaps cinnamon – but it’s hard to dig past the overwhelming vanilla. The entry is strong sweet vanilla extract and toasted marshmallow, which are quickly joined by spices including oak, ginger, clove, and cinnamon. The spice ramps up considerably in the midpalate with the oak from the bourbon barrels, clove, and ginger really coming to the forefront. The spice peaks towards the end of the midpalate and dissipates leaving the clove to finish things out, accompanied by the return of the strong vanilla extract note. The vanilla extract flavor lingers for quite a long time on the platate after the spirit has gone. Spiced rum is a bit of an oddball in the rum space: popular, but also kind of dated. With more good aged rums coming to market and the crossover potential for fans of aged whiskey, the spiced rum space could begin to really fade. Shellback Spiced Rum doesn’t do much to move the needle one way or another. It’s a fairly unremarkable spiced rum and like the Shellback Silver is extremely vanilla dominant. The nose on the Shellback Spiced Rum smells so much like vanilla extract that nosing it side by side with vanilla extract makes it hard to tell them apart. The rum does have some some nice spice notes in the mix, though. The ginger and clove match well with the wood, but again, the vanilla is so strong and out of balance that it really throws things off. Like the Shellback Silver Rum, the spiced rum seems designed to be thrown into Coke. While we aren’t huge fans of the spiced rum category, we prefer the finesse and balance of Bacardi’s Oakheart over Shellback’s offering. Gallo getting into the rum space is a big deal. They have a track record of moving massive volumes at low prices in the spirit categories that they enter. The Shellback Rums play well to the value-oriented drinker who is looking for something affordable that goes with Coke. Neither of these rums are great rums, but they’re not terrible either.